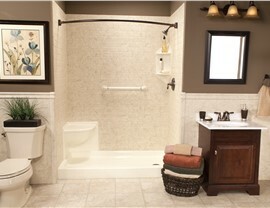 A new tub is a small change that can make a big difference in the style and functionality of your bathroom. Our top-rated Aurora replacement tubs are made from tough acrylic that won’t chip, crack, or fade. It’s durable enough to withstand daily use and still last a lifetime. Plus, you don’t have to deal with the inconvenience of daily scrubbing, because our tubs are easy to keep clean and fresh. 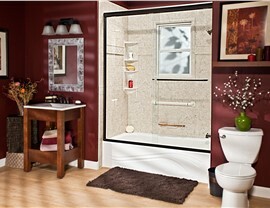 What does your ideal shower look like? Does it have a traditional look, or is it sleek and modern? Whatever your style, we have Aurora showers that will suit your space. 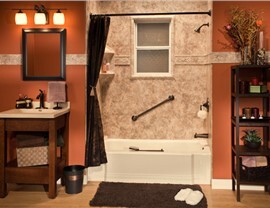 You can also customize your new shower by adding accessories such as caddies, shelving, a built-in seat, and much more. Because each shower is custom-fabricated, you’re guaranteed a perfect fit. If an unused tub is taking up space or you’d like to have a tub where you can bathe the kids or relax at the end of a long day, ask about our Aurora bath conversions. 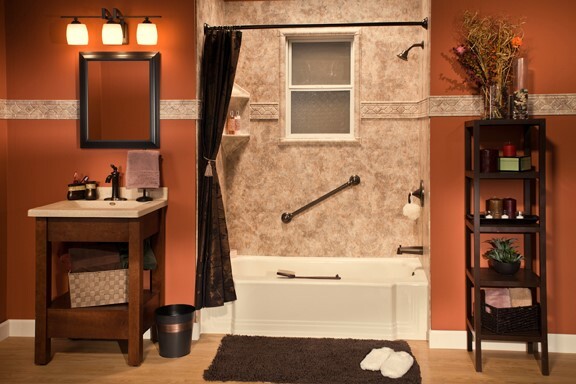 In as little as one day, we can transform your space with a tub-to-shower or shower-to-tub conversion. 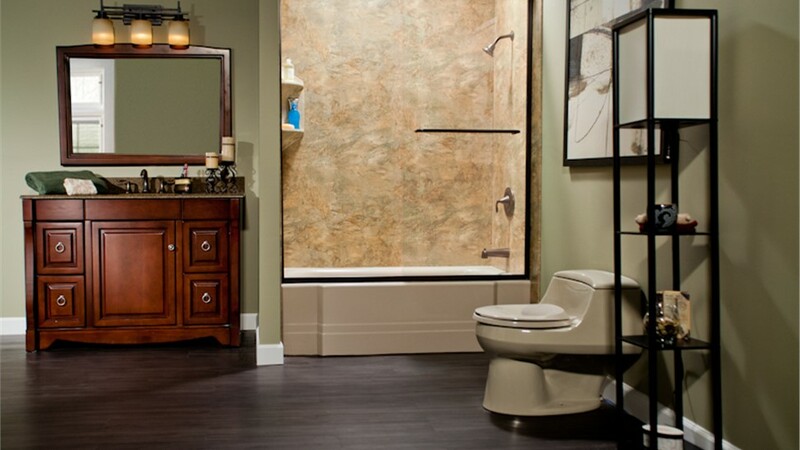 Since we use the footprint of your existing tub or shower, there is no need to reconfigure the entire bathroom, making the installation easier and more affordable. 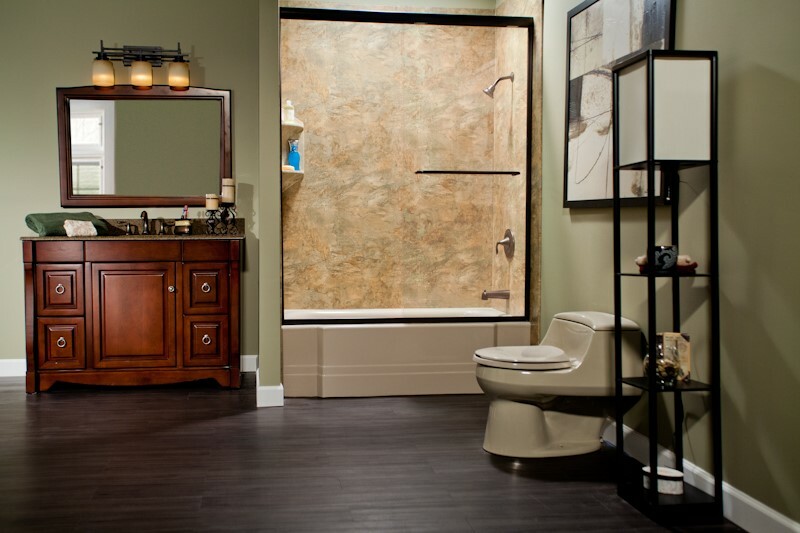 If the reason for your bathroom renovation is accessibility, our Aurora walk-in tubs are a perfect solution. 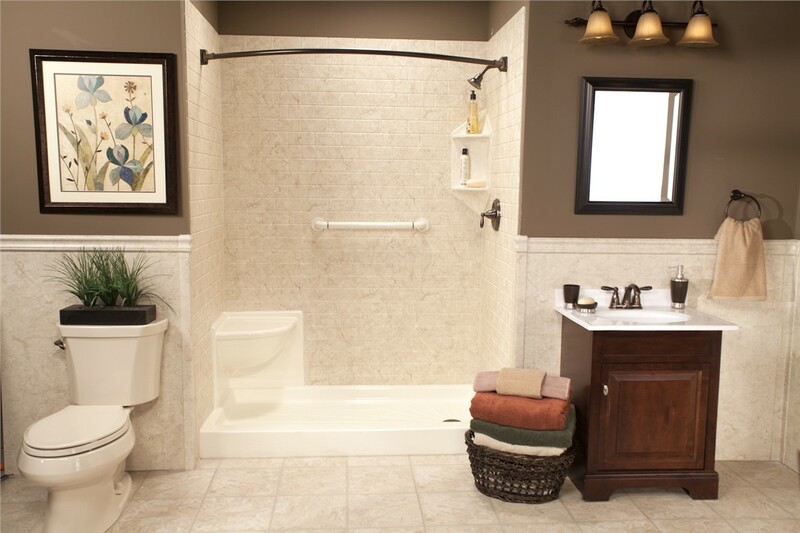 The tubs offer a very low threshold for easy entry along with grab bars and easy-to-reach controls. The low-maintenance tubs fit in the space of your existing tub or shower, so we have something to suit any bathroom. 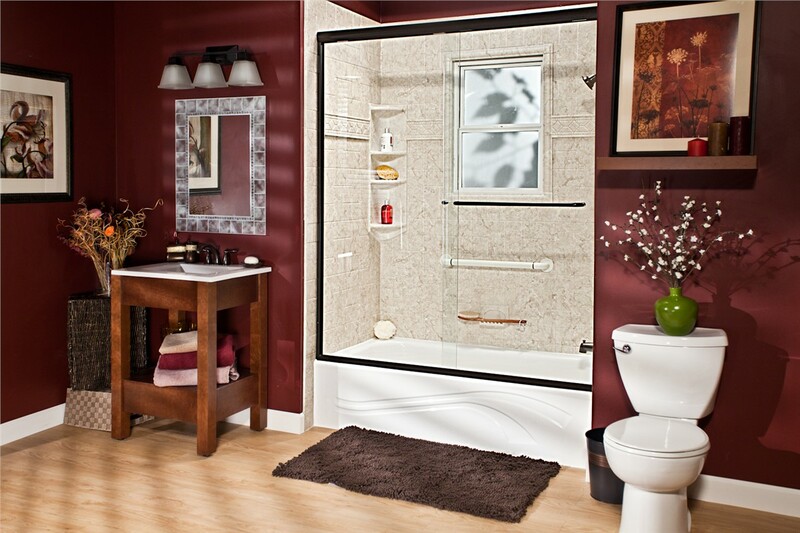 We’ll complete the installation in as little as one day, so you’ll be enjoying a safer bathing experience in no time! Another accessible option is our Aurora barrier-free showers. The zero-threshold entry makes these showers perfect for individuals who use a wheelchair or who have very limited mobility. While they are an accessible product, every member of the household will enjoy the ease of using these top-rated showers. As is the case with all of our products, you’ll have the peace of mind of knowing your shower is covered by an industry-leading warranty. You’ve been thinking about a bath renovation for your Aurora home for a while, so why put it off any longer? Contact us today for more information about our trusted services. Call Bath Planet of Chicagoland to speak with a member of our team, or fill out our brief online form to schedule your free, no-obligation estimate.